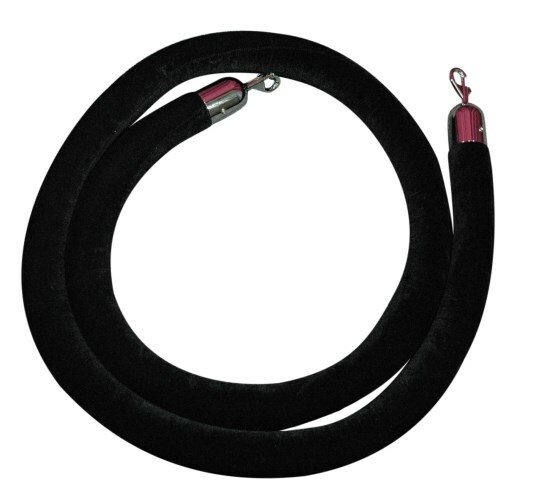 Give your guests the VIP treatment with our Velvet Stanchion Ropes. Each velour stanchion rope features a metal hook end that conveniently snaps onto the ring of our Metal Lobby Stanchion. Ropes are 8 feet long, and are available in popular Black, Burgundy, and Red rope colors.